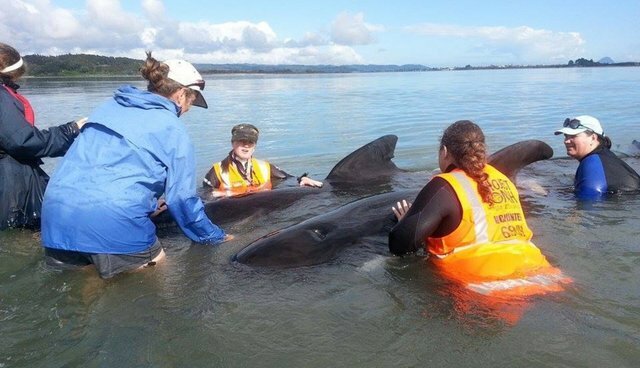 Early on November 3, a pod of 60 pilot whales was found stranded in the Ohiwa Harbor in the Bay of Plenty, New Zealand. 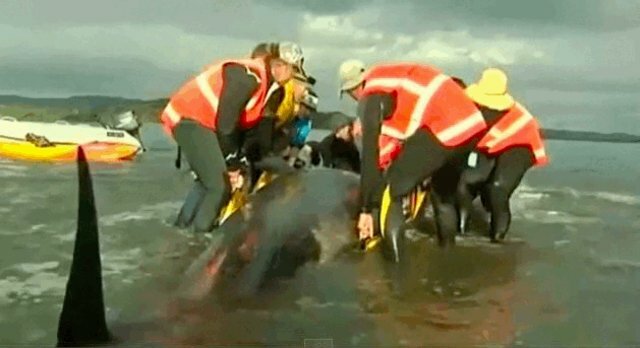 Of the stranded whales discovered, 11 were already dead. The Department of Conservation's Steve Brightwell informed Radio New Zealand that it's likely the whales were following a member of their group who was sick or unwell. Rescuers from the group Project Jonah New Zealand set about trying to stabilize the survivors. By the end of the ordeal, 35 whales had unfortunately perished. However, the 22 remaining whales were guided out to sea on November 4, and rescuers were hopeful that the pod was headed for deeper waters. Unfortunately the tale did not end there. Project Jonah received a call on the morning of November 5 saying that 22 whales were stranded in the Whakatane region. It is likely that these whales were the very same cetaceans who had been refloated less than 24 hours earlier. 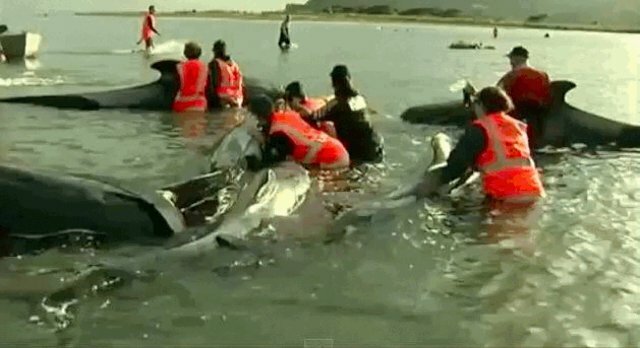 Rescuers did their best to save the whales, but the efforts were unfortunately futile. Six whales had died overnight, upon arrival it was discovered a further six had died and within moments two more whales had passed. The remaining whales were showing physical signs of distress and the difficult decision was made to euthanise. The explanation for whale strandings is not simple. While sick or injured whales beach themselves most often, whales have also washed ashore while chasing prey in shallow waters, or are swept onto beaches by strong currents and inclement weather. The number of whales who have been found stranded in New Zealand is higher than anywhere else in the world, due to its extreme tides and wide-ranging coastlines. However, conservation groups have also made the rate of rescue success one of the highest in the world. "Its worth remembering that any time the whales spend out of their natural environment is a highly stressful time for these beautiful animals," writes Project Jonah. "Once again, thank you to everyone who has been involved. A sad outcome after the successes of yesterday's efforts."